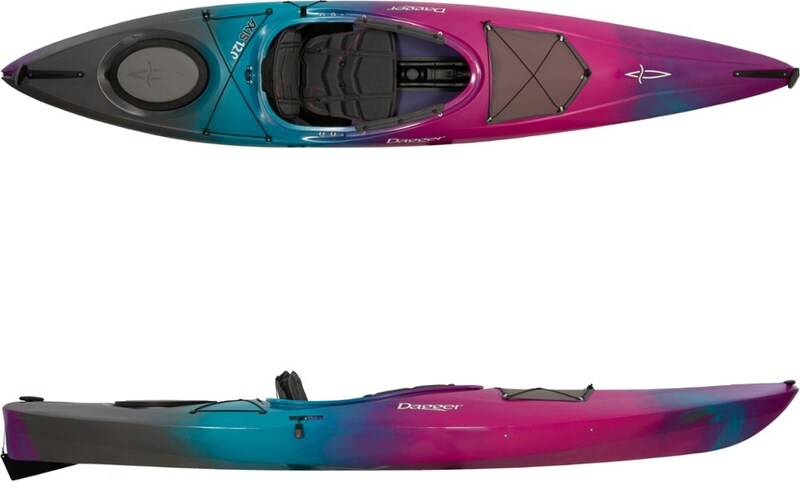 The Dagger Axis 12 is my first kayak. Not the first I've ever paddled, but the first I've ever owned. I've got more background with canoeing. The Dagger Axis 12 is pretty easy to get right into and use. 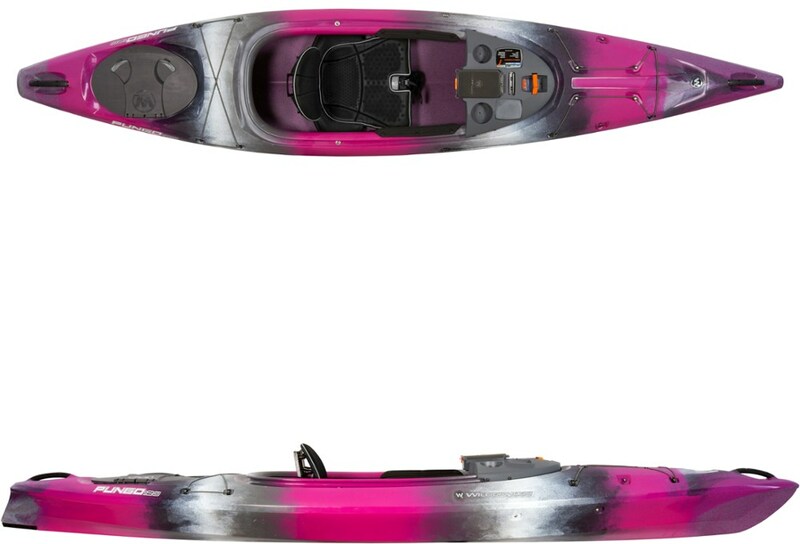 But the seat is highly customizable, so you might want to spend a little time on dry land getting that dialed in before you take it out on the water. Some adjustment on the water is possible, but not convenient. There are also adjustable foot pegs which I've found a little easier to adjust on-water than the seat. The bungee system forward works pretty well. 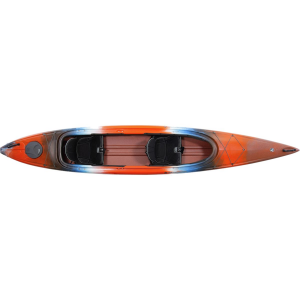 There's a convenient paddle holder on the side, as well as a simple control for the drop-down skeg. 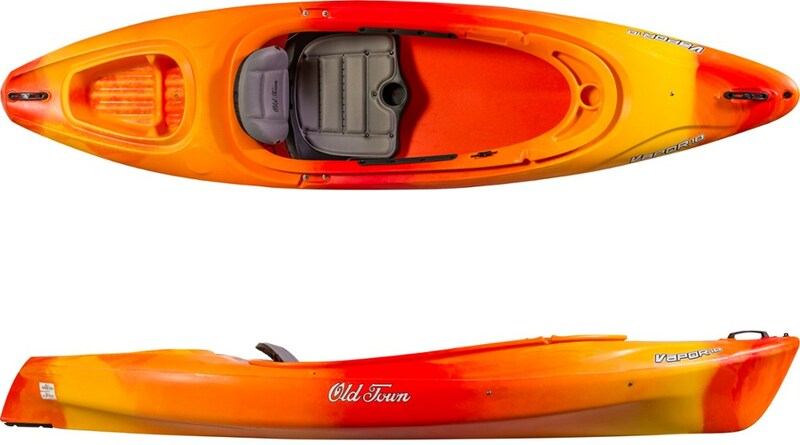 I'm not terribly experienced with kayaks yet, but the boat strikes me as having good secondary stability. In most of my time with this boat, I'd describe it as "slow" on flat water. 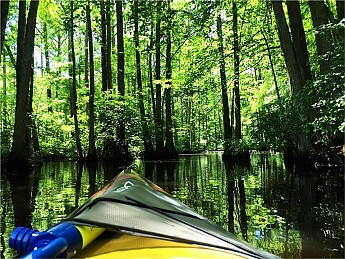 Trying to keep up with some touring kayaks, my friends were lazily paddling along while I was getting a serious cardio workout and still dragging behind them. 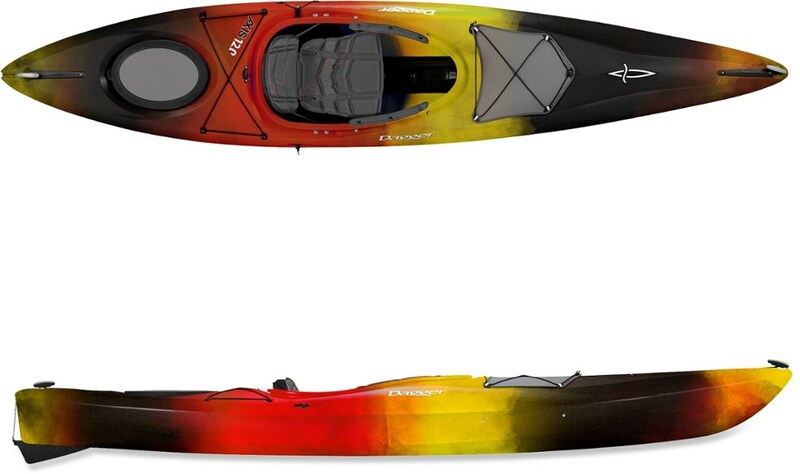 Yes, you can take it on flat water. I got this boat because it's versatile, after all. But it's not going to thrive in this environment. As mentioned, the seat and foot pegs are pretty customizable and work well. There is a rear bulkhead area with pretty good storage space. It's not accessible while you're in the boat. This boat has no forward bulkhead space. The drop-down skeg is great on flat water. It really does help this short boat to track like a longer one. This thing is a tank. I'm looking forward to getting some time with it in light rapids, where I'm sure it'll hold up well to bumping into rocks and logs. In shallow swamps, I've dragged it over tree stumps and rocks and suffered nothing more than light scratches on the hull. The tradeoff is that it's heavy. One reason I bought this boat over others was because it had a really high weight capacity for a small recreational kayak. When I bought it, I weighed 325 pounds (at 6'1"). I've been losing a lot of weight since I got the boat, though, so it's less of a concern for me now. But I will say, at 325 lbs it held me just fine. 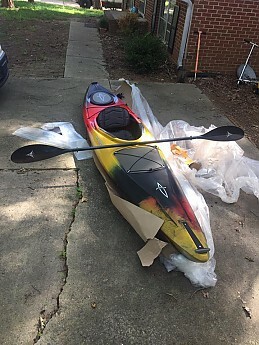 I'm still a kayak noob so I haven't taken it onto the river yet. I've only had this thing on swamps and lakes. Something tells me this boat is really going to shine more on rivers with up to Class II rapids. I look forward to finding out next season (when my weight will be under 200 lbs and my fitness to handle the water conditions will be vastly improved over Spring of this year). I like this boat. But I wish I'd been able to find a touring boat that was around the same price and was better able to hold me safely at my old weight. If I were buying a boat today, knowing that my weight will be under 200 by next Summer, I'd buy a different boat. 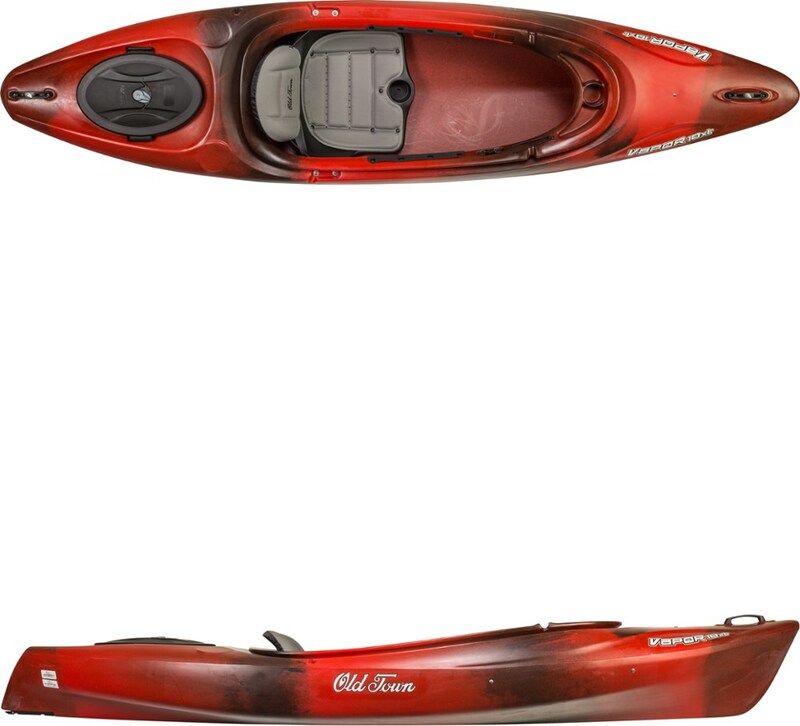 And if I were planning on using this primarily on the river, I think I'd still buy a different boat (especially one with bulkheads at both ends!). Welcome to Trailspace, Magnus! Thanks for sharing such helpful reviews of your gear.